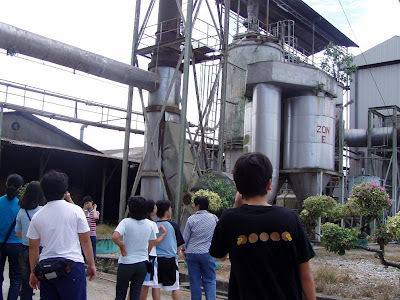 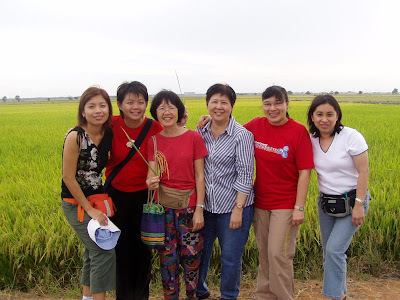 I was discussing the above topic with my colleague today and can't help but recall the time I brought a group of students to Tanjung Karang in 2004 - a piece of land reclaimed for rice cultivation near to KL, Malaysia. 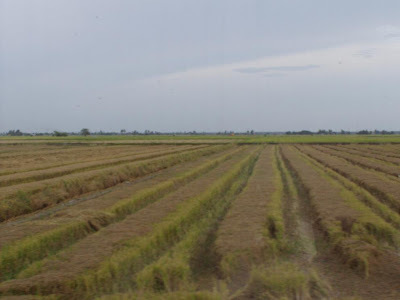 Much of the production here is a result of government intervention, from reclaiming the land, setting up the irrigation system, providing loans to the farmers, setting up of cooperatives which loan out the combine harvestor as well as selling seeds to the farmers and the gurantee of minimum price for the padi. 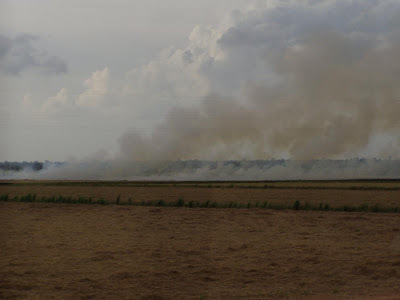 40% of the land is reclaimed from peat swamp. 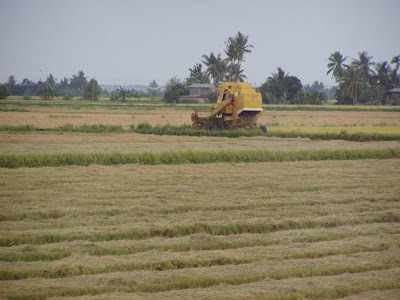 Harvesting is done using the combine harvestor which can be loaned from the co-operatives at 40 Ringgits. 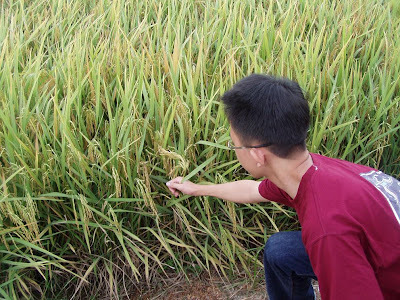 By tapping on the water from River Tengi and River Bernam, water is available all year round and double cropping is possible. 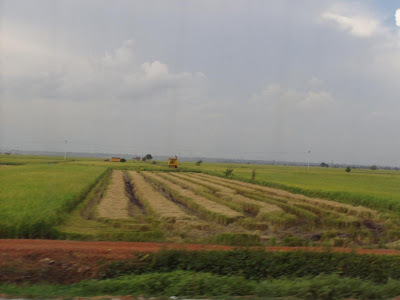 Each individual plot of land is around 1.2 hectares. 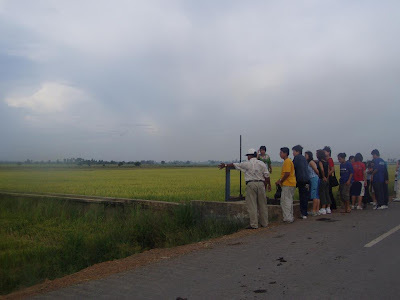 The water had been drained away from the field through PVC pipes connected to the canal a month before harvesting - that's why we are not wet even though we are standing right in the middle of the field! 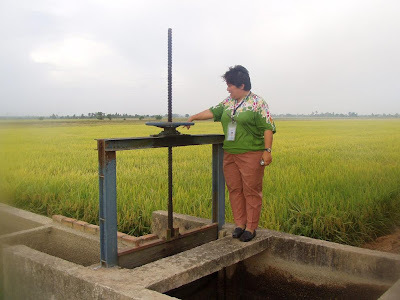 Sluice gate controls the flow of water into the irrigation system in the rice field. 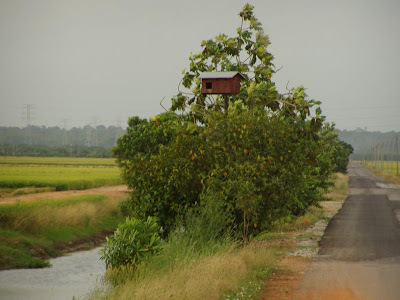 You can see houses for Owl as owls are used as the biological control of pests in the rice fields. 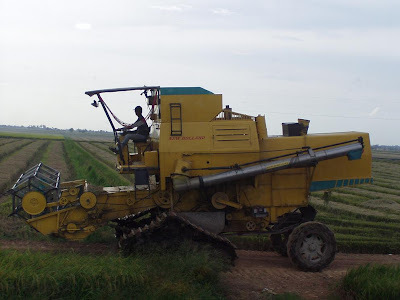 nd used for rice production. 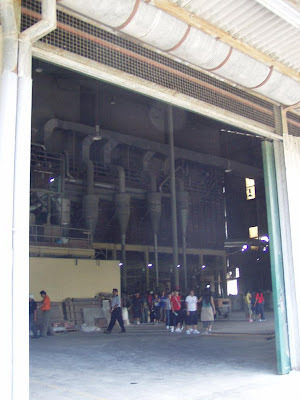 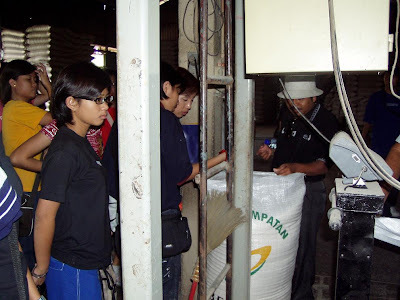 We also went to the rice mill to see how the rice is processed. 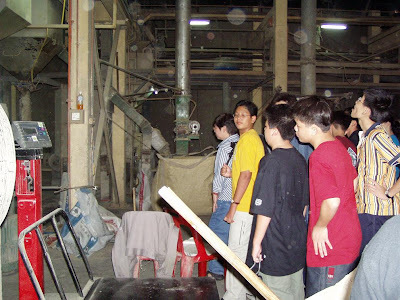 Mr Hashan and Mr Rosli from the mill explained how the rice is processed in the mill. 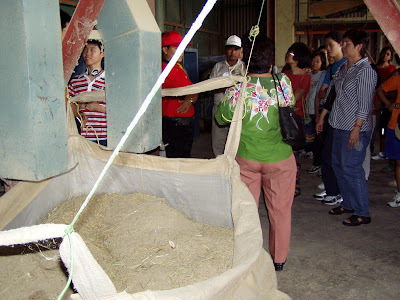 The moisture content of the rice grain is checked before they are processed and then the husk is separated from the grains. 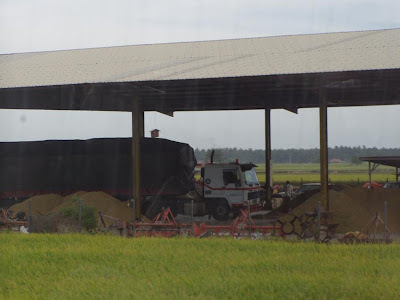 The rice grains are then polished and stored in the huge Silos. 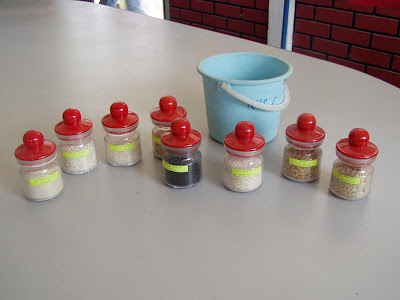 After removing the husk, the brown rice is polished. 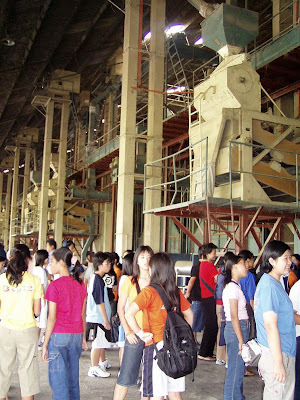 The powder (bran) is sold as animal feed. 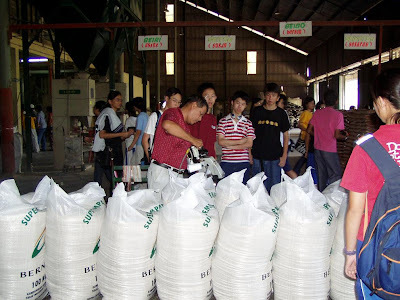 The rice grains are further polished and graded before packaging. 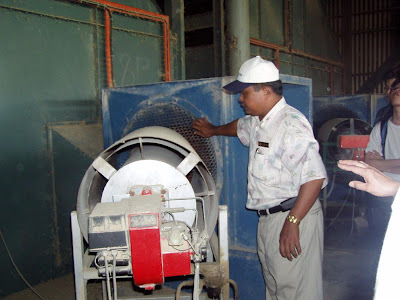 The husk are incinerated to ash- which can be used as fertilizers. 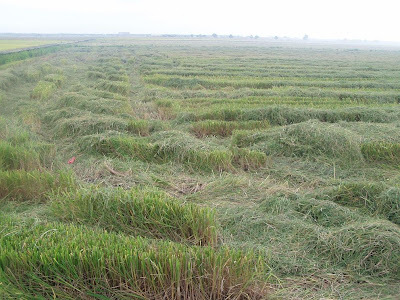 0 Response to "Intensifying food production"